As a Polymer Clay artist, I am a member and a previous committee member, of both the British Polymer Clay Guild, and the International Polymer Clay Association. ​As an oil painter, I am a member of the Society for All Artists. 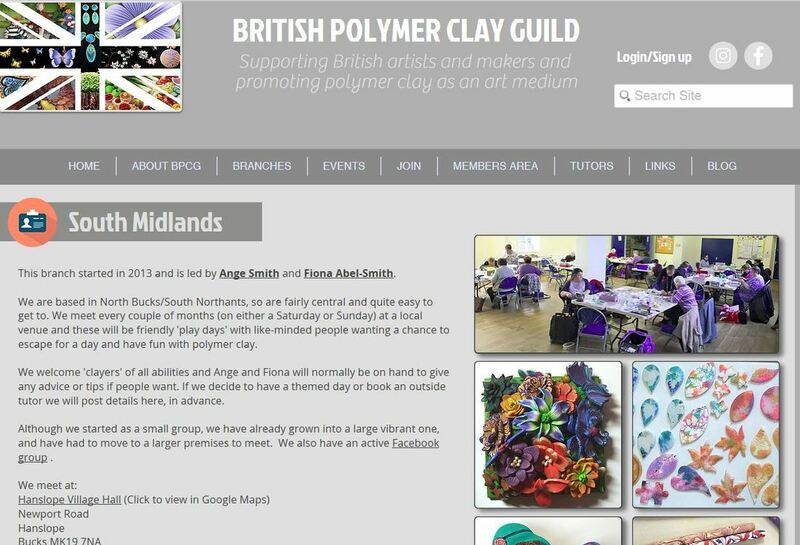 Since 2013 Ange Smith and I have been running the South Midlands Polymer Clay Group. We meet once a month (except February and December) on either a Saturday or Sunday, and have Polymer Clay Play Days, where like minded people can get together for a day of polymer fun. We meet in the North Bucks village of Hanslope, MK19 7ER. Starting with only 3 of us, we are now a thriving group with over 50 in the mailing list, and often getting 30 or more turn up to the clay days. If you would like to join us, or find out more information, look at the Group's page on the BPCG website.